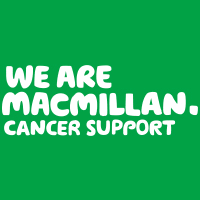 The West Lancashire Macmillan Information and Support Service offers free and confidential support, advice and information to patients, their family and carers. The team will meet and talk with you, helping you to plan and live well. Whatever your problem, they will go the extra mile to support you living with and beyond cancer. They offer emotional support, cancer information materials, access to benefits advice, holistic needs assessments, and signposting to local support groups. The Coventry University/Macmillan HOPE course (Help Overcoming Problems Effectively) is available to help manage the day-to-day impact cancer has on lives and help people rediscover their strengths after treatment ends. To get help, simply call or email, or drop in at any of the events shown below. There’s also much help and information on the Macmillan website.